The general consensus is that Italian supercars come in two flavors: the ones with a Lamborghini emblem on the hood, and the ones with a Ferrari emblem on the hood. 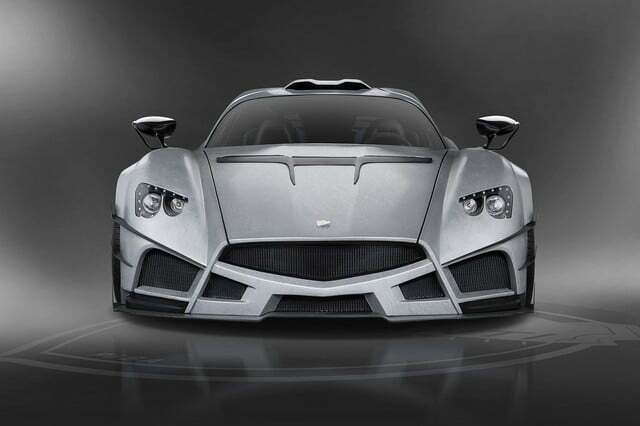 A boutique carmaker named Mazzanti is hoping to change that. 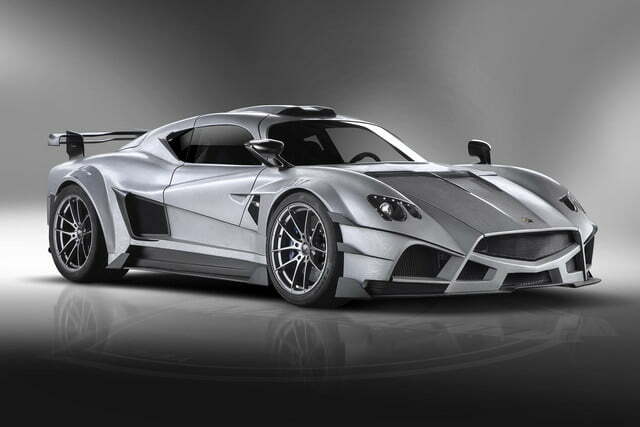 Based a stone’s throw from the leaning tower of Pisa, Mazzanti has just introduced an evolution of the Evantra coupe that’s billed as “the most powerful street-legal car ever built in Italy.” It’s called Millecavalli, a portmanteau that means “a thousand horses” in Italian, and as its name clearly implies it boasts a thousand horsepower thanks to a twin-turbocharged 7.2-liter V8 engine. Torque checks in at a robust 885 pound-feet. The engine is mounted behind the passenger compartment, and it sends its power to the rear wheels. Transmission options remain unconfirmed, but we know that the Millecavalli is capable of hitting 60 mph from a stop in 2.7 seconds, and can go on to a top speed of 250 mph. That figure makes it 0.3 seconds faster than the coupe it’s based on, and puts it on par with big-name supercars built by better-established companies like Ferrari. 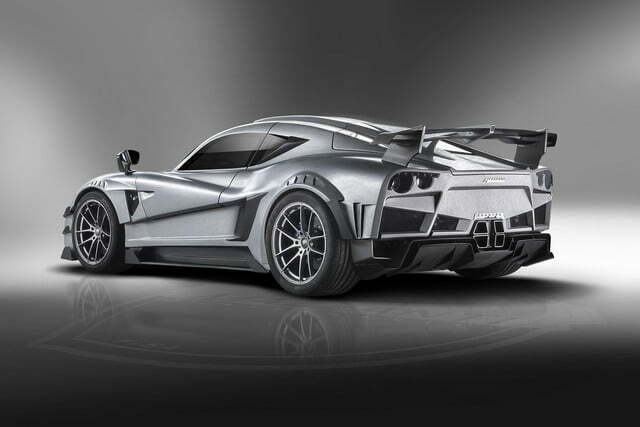 Mazzanti has added carbon-ceramic brakes provided by Brembo, and ultra-light OZ Racing wheels wrapped by Pirelli Trofeo R tires. 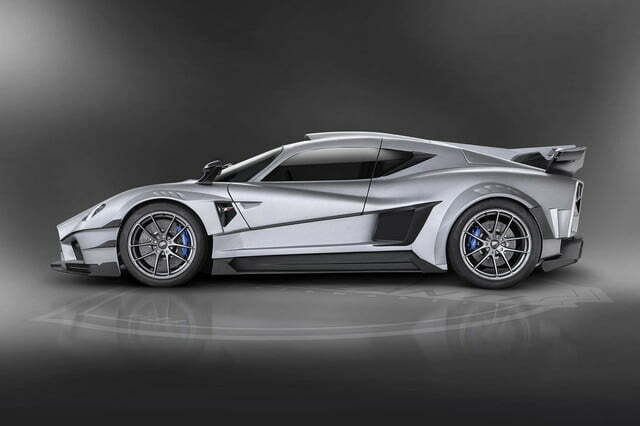 The chassis’ tuning hasn’t been finalized yet; the carmaker has enlisted Italian pilot Giampaolo Techini to put the Evantra Millecavalli through its paces on the world’s most challenging race tracks over the coming months and use the data gathered to improve the driving experience. The Millecavalli emblem is accompanied by a more aggressive look. 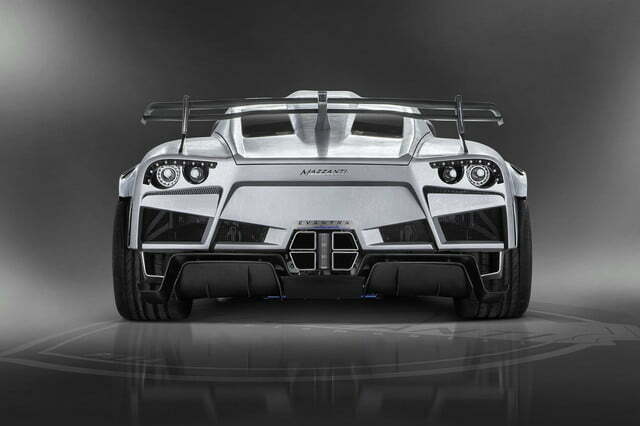 It features a deeper front bumper, a trio of vents cut into the hood, flared fenders, and a sizable wing out back. The door handles are located right behind the front wheel arches, a positioning that indicates the Millecavalli is fitted with the same suicide doors as the standard Evantra. The car currently displayed at the Turin Auto Show isn’t a mere concept, and the carmaker has already announced plans to build no less than 25 examples of the Millecavalli in the not-too-distant future. It’s reasonable to assume that the coupe will be priced well into the six digits — and possibly beyond the seven-digit mark.